Due September 7, the set documents the band’s pair of October 2017 sold-out shows at the iconic London venue, where they were backed by the 52-piece Parallax Orchestra led by conductor Simon Dobson to deliver a career-spanning set. 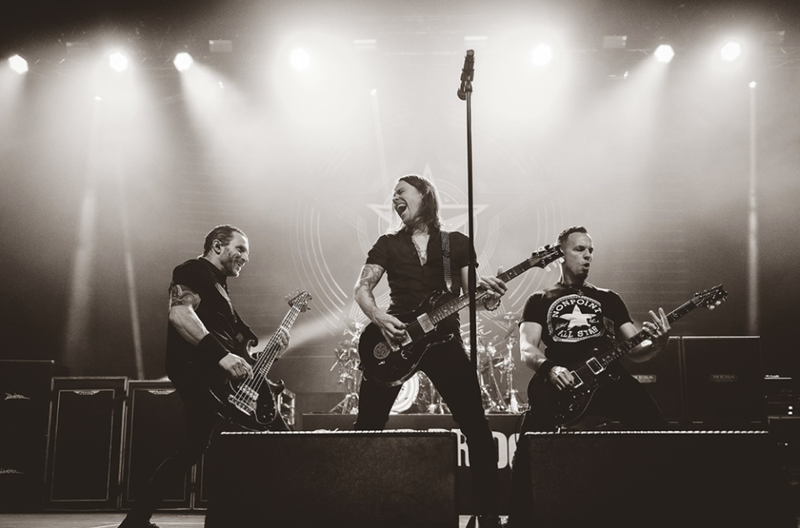 “Live At The Royal Albert Hall” features some of Alter Bridge’s biggest hits, fan favorites and songs like “Before Tomorrow Comes,” “Ghost Of Days Gone By,” “The Last Hero” and “Broken Wings”, each presented with enhanced, unique arrangements in an orchestral setting. The package will be available in various audio and video versions, including Blu-Ray, DVD, CD, Vinyl and digitally.